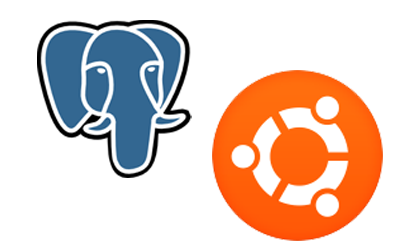 Installing and setting up a Postgres 9.3 Database on Ubuntu 14.04. After it's the DB server is set up, create a DB with a read only and a read write user. I am going to create two users. The first user is myappr and the second myapprw. myappr can only read, myapprw can read or write to the tables. If you need to update a password run the following command. Let me see who has what privilege to begin with. app_or and app_rw have no privileges at all. Run the following commands to give the two users connect access to the database myappdb. OK, that didn't change? Maybe I am looking at roles for the Postgres server. This command kind of gets the info I want. Look like I need to be connected to the database to give grant specific permissions to user on that database. Switch to the myappdb database. Give the app_ro select access and app_rw select, update, insert, and delete. Running \l again does not seem to show these added privelges, just if the role can connect to the DB. Poking around… oh http://stackoverflow.com/questions/760210/how-do-you-create-a-read-only-user-in-postgresql  . The command I ran to grant select privileges on all tables only effects existing tables. I want to update the privilege on all existing tables in the database and make sure that when a new table is created I get the same permissions assigned to it. 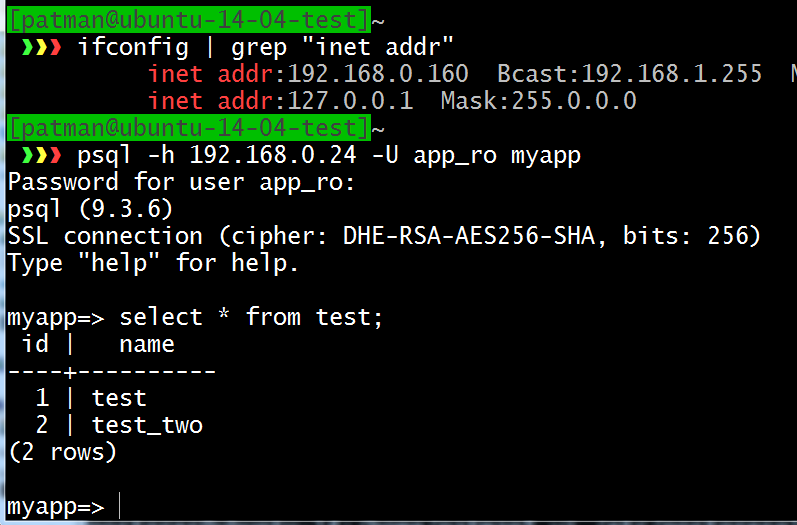 Then for app_rw (read and write) run the following commands. Create a new table, as the postgres user, and see if it worked. I set these defaults up as the postgres user. If I create a table as another user these defaults will not be used. You would need to login to Postgres and set defaults for that user. (Or at least that is my understanding at this point). Insert a few bits of data into the test table. Login as app_ro and see if you have the correct permissions. See if you can select. 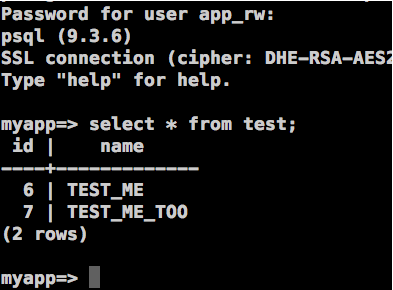 Login as app_rw and see if you have the correct permissions. See if I can delete a row. It was able to delete, as expected. My test machine is on 192.168.0.24. I want to make sure I can log into the database from another server. If I log into another server and run the following command. I get this error, because I have not set up the Postgres server to accept incoming connection from other servers. To fix that do the following. Get the IP addresses of the machine(s) you want to allow to connect to the database. Usually this is an IP range. For example I have 192.168.0.x at home. If I want to allow all these to have access I can use an IP calculator like the one at http://jodies.de/ipcalc?host=192.168.0.0&mask1=24&mask2= to figure this out. I can see that the HostMin is 192.168.0.1 and the max is 192.168.0.254. Try to login again from another box. There is a way to connect without using passwords. Try to login from another machine. If I try to run if from another machine. Create a script file to run. Here is the video I posted on youtube going through this how to.